Shadab Khan is a Pakistani cricketer who plays in all the formats of the game for the national team. He was born on 4 October 1998 in Mianwali, Punjab, Pakistan. Shadab is an all-rounder, but primarily a right arm leg-break bowler. Shadab generally bowls in a non-aggressive style and uses his guile to fox the batsman instead of going for the ball. His bowling involves wide-angle deliveries that have the ability of flight as well as the flat track. Shadab moved to Rawalpindi at the age of 12 and became a regular player in his school cricket team. He later joined the National Cricket Academy in Lahore to learn from former Pakistani greats like Mushtaq Ahmed and Abdul Qadir. He looked steady in his growth and was braced to be selected for the U-19 World Cup in 2016. Abdul stood out, as usual, ending the tournament as the highest wicket taker in spite of Pakistan’s exit. He was soon selected for the national team at a very young age. He has represented the following teams- Rawalpindi Rams, K-Electric, Khulna Titans, Brisbane Heat, Islamabad United, Pakistan Under-19s, and Trinbago Knight Riders. Shadab Khan made his international debut for the senior side on 26 March 2017 against West Indies in a T20 international. He surprised everyone by picking up three wickets while conceding just seven runs in his four overs. Shadab later made his ODI debut on 7 April 2017 against West Indies and picked up two wickets, going for 52 runs in nine overs. Shadab Khan was given a test cap on 30 April 2017 in the same tour of West Indies. He picked up a wicket in the first innings and scored 16 runs in what turned out to be a loss for Pakistan. It remains the only test played by Shadab. Shadab Khan was a quick learner and started to grow at a staggering pace. His talent caused a huge uproar in the international turf and resulted in his selection at an age of just 18. Shadab’s international career began with T20Is and was also quite successful in ODIs. Shadab’s international debut has so far been his best performance in a T20I as he also became Pakistan’s youngest ever cricketer to pick up four wickets on debut. The performance in the debut and following games earned him a place in Pakistan’s 2017 Champions Trophy winning side. Shadab also turned out to be a reliable batsman for Pakistan and scored his maiden half-century on 16 October 2017 against Sri Lanka. This half-century came in a solid partnership of 109 with Babar Azam which helped Pakistan beat Sri Lanka by 32 runs. Shadab made headlines with a Player of the Series award in the tour of West Indies. He had 10 wickets to his name in four matches. Shadab Khan played his first domestic match for Islamabad in the 2016 Pakistan Cup. He went on to play his T20 matches for Rawalpindi, before signing for the Trinbago Knight Riders in the Caribbean Premier League. 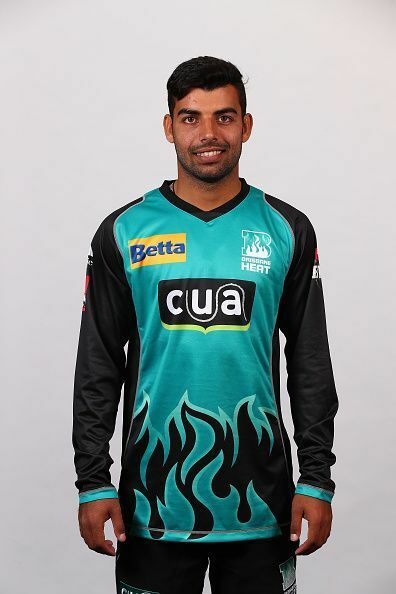 Shadab’s performances earned him a contract for the Brisbane Heat in the Big Bash League. Pakistan Super League 2019: What does the fourth edition mean for Pakistan cricket? How long before the wrist spinners clout over the batsmen gets over in limited overs cricket? Pakistan cricket team: The men who refused to give up!